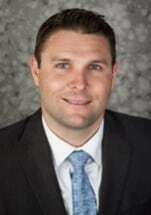 Tyler Austin is an associate in Hayes Scott's Redwood City office. Before joining Hayes Scott, Tyler worked for the commercial litigation firm Lee Tran & Liang, LLP ("LTL,") where he was part of the general commercial litigation and intellectual property practice groups. Tyler graduated from California Polytechnic State University in 2009, earning a Bachelor of Arts degree in English. Tyler then graduated with the highest honors from Golden Gate University School of Law in 2013. During law school, Tyler worked as a law clerk for LTL, and as a judicial extern for Judge Ronald Evans Quidachay of the San Francisco Superior Court. Tyler is licensed to practice before all courts of the State of California and the United States District Courts for the Northern, Central, Eastern, and Southern Districts of California. Tyler's practice focuses on business litigation, insurance coverage, and insurance bad faith claims, and other commercial disputes. Tyler has experience in all phases of civil litigation from claim evaluation through trial and enforcement of judgments, and including mediation and settlement.